DETROIT - A rare Canada lynx that was found this year in Michigan's Sanilac County has been safely returned to its natural habitat in the wild, the state's Department of Natural Resources announced Monday. 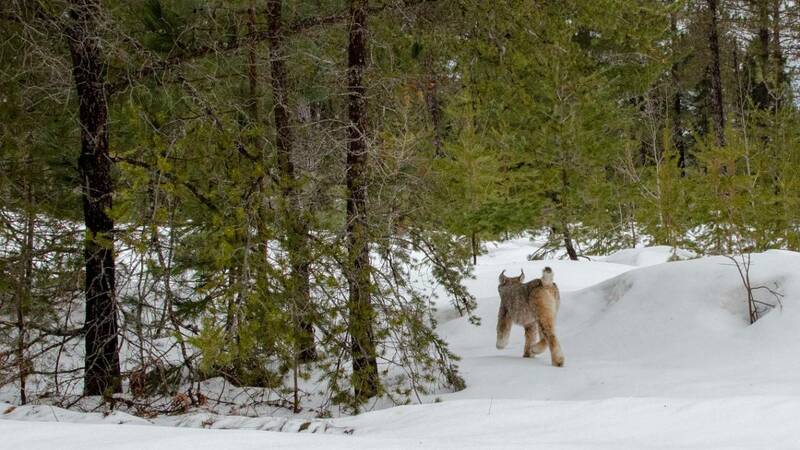 The DNR said the lynx left its holding carrier in under a minute Friday and "trotted off over the snow into a stand of pine trees" in central Schoolcraft County. “It went perfectly,” said John DePue, a DNR wildlife biologist who supervised the release of the cat. “She didn’t dart out of the carrier like some other animals would have, but that’s pretty typical lynx behavior." 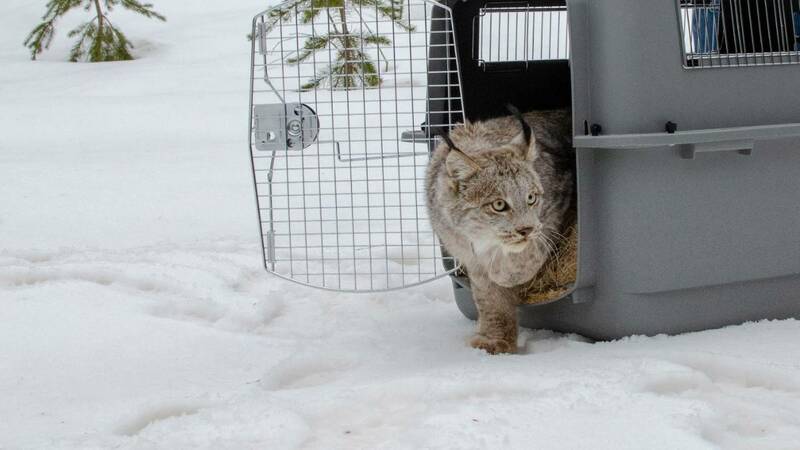 The lynx had been brought north to be released in a cooperative venture by the Michigan Department of Natural Resources and the Detroit Zoological Society. The DNR received a report on March 16 of a possible lynx preying on a farmer’s domestic geese. The lynx was described as easily approachable and wasn’t spooked by the farmer’s presence, the DNR said. 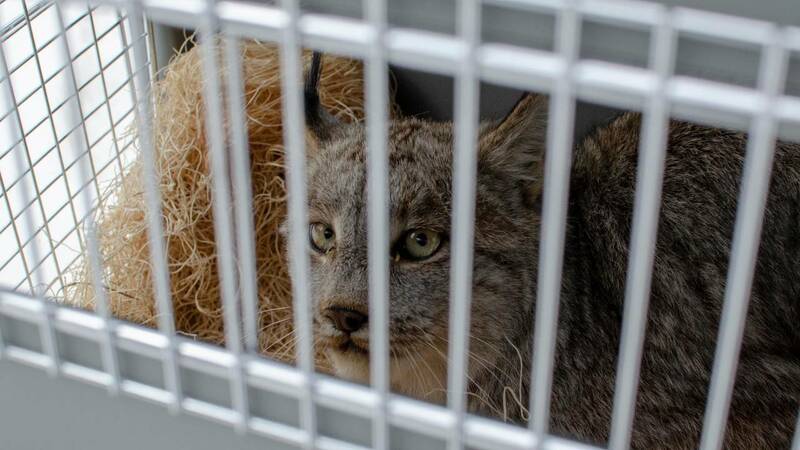 The lynx was held at the Howell Nature Center wildlife rehabilitation facility in Livingston County until she was able to be transferred to the Detroit Zoological Society for a health assessment. The female cat, believed to be less than a year old, measured just over 4 feet long and weighed 18 pounds. She was treated for a foot wound, parasites and dehydration. DNR wildlife biologist Cody Norton said the lynx gained more than a pound, eating rabbits and quail while under the care of Detroit Zoological Society staffers. The cat was transported north about 400 miles before a small group of DNR staffers released her into the wild. “It’s been acting like a normal healthy cat,” Norton said.